The Horseface Loach has a long nose and loves to rummage through the substrate for morsels of food! The Horseface Loach Acantopsis choirorhynchos is and interesting aquarium inhabitants that enjoys burrowing. It is also known as the Horsehead Loach and its overall shape is quite suited to its habits. It likes to burrow into the substrate and will sift the sand through its gills in search of microorganisms or other food. The body of the Horseface Loach is elongated, with a flat belly. The snout is characteristically long and bends downward about halfway between the eyes and nose. It strongly resembles a horse! (go figure) The eyes are covered with a transparent layer and are perched near the top of the head, and slightly protrude from the head. There are no scales on this fish's head. The back and sides of the fish are light brown with various spots and stripes. The lower parts of the fish are white while the fins are brownish. 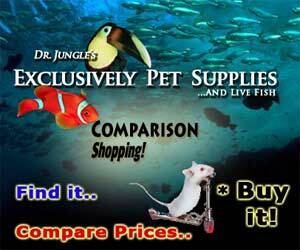 Be careful when purchasing as they are sometimes offered for sale as a "Long-nosed Loach" and vice-versa. The Long-nosed Loach is actually a different species, Acantopsis octoactinotos. The two species resemble each other but the Long-nosed Loach is more aggressive (will eat smaller fish like Neon Tetras and Zebra Danios) and is not a burrower. The Long-nosed Loach also does not have the characteristic downturn on its snout. They have a quiet disposition and make a great community fish.They are generally quite peaceful but they will defend a territory against members of their own species. It is best to keep single fish with other community fish. They enjoy burrowing and should be provided a rounded sand or fine gravel substrate. Provided with the right habitat and a properly maintained aquarium and these hardy fish will reward the aquarist with an interesting and long lived pet. The Horseface Loach Acantopsis choirorhynchos was described by Bleeker in 1854. It is found in Southeast Asia; Borneo, Burma (Myanmar), Java, Malaysia, Sumatra, Thailand, and Vietnam. They are also known as the Horsehead Loach. This species is listed on the IUCN Red List as Least Concern (LC). However these Loaches have not been studied very well. Their apparently large distribution, extending across the majority of Indochina and beyond, may indicate that this species actually represents a cluster of yet undescribed, but very similar species. Another common name this fish is known by is Horsehead Loach. They inhabit rapid streams with a sandy or rocky substrate as well as large, slow moving rivers with substrates of sand, fine gravel or mud. During monsoon season they will temporarily migrate into the flooded areas of the region. They will burrow into soft substrates and sift mouthfuls through their gills to extract insect larvae, small crustaceans, and other benthic organisms. The Horseface Loach is a good sized fish that can get up to 8 inches (20 cm) or more in the wild, though they are usually smaller in the aquarium. They generally have a life span of about 10 - 12 years. The body of this interesting loach is elongated, with a flat belly. The snout is characteristically long and bends downward about halfway between the eyes and nose. It strongly resembles a horse! (go figure) The eyes are covered with a transparent layer and are perched near the top of the head, and slightly protrude from the head. There are no scales on this fish's head. The back and sides of the fish are light brown with various spots and stripes. The lower parts of the fish are white while the fins are brownish. Size of fish - inches: 11.8 inches (30.00 cm) - These fish are can reach between 8 - 11 3/4 inches (20 - 30 cm) in the wild, but are usually smaller in the aquarium. Lifespan: 12 years - Their lifespan is generally about 10 - 12 years. Since they are omnivorous, the Horseface Loach is not a picky eater. In nature this loach feeds primarily on insect larvae, small crustaceans, and other benthic organisms. But in the aquarium it will generally eat all kinds of live foods, sinking pelleted and tablet foods, flakes, and algae. They like frozen foods as well. To keep a good balance give them a high quality flake or tablet food everyday. Feed mosquito larvae and brine shrimp (either live or frozen), tubifex, daphnia, and some vegetable foods such as algae wafers. The most important thing for these loaches is that they always have clean and well-oxygenated water. Frequent water changes of 30 - 50% a week are needed. With your weekly water change make sure to vacuum the gravel to remove all excess food and waste. Make sure not to remove the bio film on rocks, decor or no viewing panes of the tank. A magnet algae cleaner normally does a great job in keeping the viewing pane clear. Water Changes: Weekly - Water changes of 30 - 50% weekly. These loaches will swim mostly on the bottom of the aquarium, but will occasionally swim in the middle or upper parts of the aquarium. Smaller Horseface Loaches do fine in a medium sized aquarium (20 gallons or so), but a full grown loach, up to 8 inches, needs a larger 35-45 gallon aquarium. A group will need even more room starting at 55 gallons and up. Never introduce this loach into a biological immature setup as these fish require pristine water. They do best in soft, slightly acidic water and also use subdued lighting. They need good water movement that provides plenty of oxygenation. Using an over sized external power filter will help meet that requirement. Powerheads and River manifolds can be used to create the proper current for these loaches. This is one of the loaches that can also be acclimated to a low-salinity brackish water aquarium. Keep specific gravity less than 1.005 and preferably less than 1.003. Because they are burrowers, the substrate needs to be a fine gravel or sand that does not have sharp edges. There should be lots of plants and places for retreat such as rocks, caves, and roots. Be sure to provide hardy plants with the roots protected and have decorations firmly placed on the glass bottom so they don't fall over. Plastic tubes also make safe and excellent hiding places. Minimum Tank Size: 55 gal (208 L) - Juveniles will be fine in 20 gallons or more but a full grown adult needs 35 - 45 gallons minimum, with 55 gallons or more needed for a group. Substrate Type: Sand/Gravel Mix - Should be soft enough so they can burrow without injury. Brackish: Sometimes - This is primarily a freshwater fish but it can be acclimated to low-salinity brackish water conditions. Keep specific gravity less than 1.005 and preferably less than 1.003. Water Region: Bottom - These fish are mostly bottom dwellers, but will occasionally swim in the middle or upper parts of the aquarium. 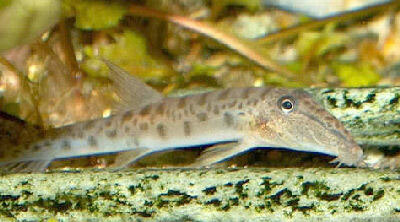 A nocturnal fish, the Horseface Loach will usually hide during the day, but are lively and active in the evening. These loaches are a good community fish, especially with peaceful but active top and mid-dwelling tankmates. They are loosely aggressive towards members of their own species, so it's best to keep one per aquarium unless there is lots of space and caves for each to stake out its own territory. These loaches form a social hierarchy and should be kept in groups of ideally 6 or more, with a minimum of three. Be prepared for the occasional fight over territory, which normally do not end in injury. Same species - conspecifics: Yes - A group of 6 or more is best, with a minimum of three. Peaceful fish (): Safe - This loach is compatible with top and mid-dwelling active fishes. Full grown females will probably have a rounder abdomen. In most cases females grow considerably larger than males. Not much is known about the breeding habits of the Horseface or Horsehead Loach and they are not yet bred commercially. Loaches are more susceptible to disease than other aquarium fishes. This may have to do with the faint body scales and no head scales. So take caution when introducing the Black-Lined Loach to an established tank. They are also very sensitive to different medications used to treat many diseases; a separate hospital tank is needed. Cold water and condition changes can also cause stress to this fish which makes them even more prone to disease. An outbreak of disease can often be limited to just one or a few fishes if you deal with it at an early stage. When keeping these sensitive types of fish, it is common to catch deteriorating water conditions and disease before other fish are affected. The best way to proactively prevent disease is to give your Horseface Loach the proper environment and give them a well balanced diet. The closer to their natural habitat the less stress the fish will have, making them healthier and happy. A stressed fish will is more likely to acquire disease. The Horseface Loach or Horsehead Loach is usually available. Be careful when purchasing however, as they are sometimes offered for sale as a "Long-nosed Loach" and vice-versa. The Long-nosed Loach is actually a different species, Acantopsis octoactinotos. A. octoactinotosis is a more aggressive species and can be predatory with smaller Neons, Danios, and Tetras. Squirrels For Sale at very affordable rates. We have flying squirrels/Eastern and Southern Grey/Rock Squirrel for sale and can arrange transportation for out of state deliveries! Our babies come hand fed, extensively socialized, healthy and each will come with hand feeding supplies, manuals and a sample of food stuffs. I had a horseface loach for about 15 years - he (or she) grew to around 6' and was my favourite fish in the tank, for all the reasons other people have described... such a character! Sadly, I found him dead on the glass cover over my tank a couple of months ago - I was gutted and I wasn't sure if he'd escaped, jumped out of the water when I was feeding my fish, or had died of old age and just climbed out of the water to die. I was so sorry to lose him that I bought 2 more horse face loaches and this evening I found one of these out on the glass cover above the tank. The only way it could have got there is through a small hole at the back which is for filter wires etc, which means the loach actually climbed (or jumped) out of the water. Luckily I found it before it died, and it seems to be making a good recovery back in the tank. But its got me to thinking about why they seem to have the urge to climb out of the tank... I've now covered the escape hole with some netting but does anyone know why horse face loaches would have the urge to leave the water? These fish do have a tendency to jump, especially if they are frightened. It helps if they have places to hide in the tank, like lots of caves and crevices in the rock. Plastic tubes on the bottom of the tank provide refuge too, and can also help. I have about 5 of these in a 29 gallon JBJ cube aquarium. They have reproduced as well, but the babies (about 2”) got trapped under a decoration in a pocket of air... Oh well. I have had them for about 6 years now and they are the only fish in the tank. I have found them in the back in the return pump compartment and am shocked they can fit between the lid and the piece that separates the front from the back filtration section. They are about 6” long. Sometimes our cat sees them swimming around and jumps up and puts her paws on the glass and this freaks them out. I have seen them hit the top lid. Mine never burrow in sand. They are very used to their environment and are out all the time. However, if the cats spook them, they do dart at crazy speeds and maybe your’s got spooked too and darted out of the tank. Hi :) Nice to meet some other horseface loach lovers :) I fell in love with the first one I met and bought it. It seemed to disappear so I thought it had died. So, I purchased more. Eight more, in fact for my 225 gallon tank. I only could ever see three at a time and so I thought that was all I had...until I had to break down the tank for moving across country. Well, to my absolute astonishment, all nine of them were in my tank! After four years it was only this that let me know I actually had not lost one single one! Yay! :) Mine have never shown aggression at all toward each other or any of my rainbowfish, corys or TSAEs. Now that I am aware they all are living under the sand I watch the tank more closely at night when only the moon lights are on. They can't see me watching them then. From two to four usually come out to play like crazy. The only time they've ever all been out in day time is when I had to medicate the tank for new fish I ordered that came with camelanus worms and ich. Yuck! But they all survived the medications and now the tank is back to normal. They clearly were not comfortable under the sand while the meds were in the tank. They are all very beautiful and the females are over twice the size of the males. I've seen what looks to be flirting between a couple of them but with no offspring. I wish someone could tell us how they manage to reproduce in the wild. I think mine want to but they are missing a piece of that puzzle?? We have had a horseface loach for about 4 years. Sometimes we don't see him (or her) for months at a time and then it pops up swims around the tank frantically for a couple of days and then disappears again. We have no idea whether its alive or dead for most of the time!